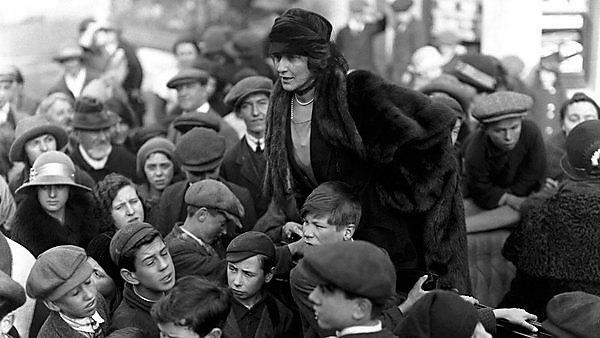 Language, Gender and Politics will be held in the constituency once held by the first woman to take her seat in Parliament, Lady Nancy Astor. As the First World War began to draw to a close in 1918, British politicians made what was then a momentous decision in giving women to right to vote and stand for Parliament. It followed many years of campaigning by the suffrage movement and four years in which women had played a crucial role in the nation’s war effort. Now, almost a century later, that moment in history is being commemorated through a free public event at the University of Plymouth on Friday 06 October. Language, Gender and Politics will be held on the University’s main campus, in the heart of the former Plymouth Sutton constituency once held by the first woman to take her seat in Parliament, Lady Nancy Astor. As well as marking the impending anniversary, the event will also provoke fresh debates about the changing roles of women in parliamentary politics, and how events of the past century have influenced them. The half-day event will feature two keynote lectures delivered by Professor Angela K Smith, Professor of Modern Literature at the University of Plymouth, who will focus on the relationship between the First World War and the suffrage campaign, and Dr Jacqui Turner from the University of Reading, who will talk about Nancy Astor’s first decade in Parliament. These will be followed by a round table discussion on the topic of language, gender and politics, featuring Dr Turner, Luke Pollard MP, local politicians Linda Gilroy and Caroline Voaden, the Chairman of Conservative Young Women Sarah-Jane Sewell, and the novelist Babs Horton. The event forms part of a wider project funded by the Arts and Humanities Research Council, titled What Difference did the War make? Women, Suffrage, Politics and the First World War. The project involves academics from Plymouth and the University of Lincoln, alongside Parliament’s Vote 100 festival, and builds on previous research exploring the links between wartime suffrage and women’s political rights. The events will also coincide with an exhibition about the life of Nancy Astor, which will be on display in Crosspoint, Roland Levinsky Building, from September 30 to October 09.